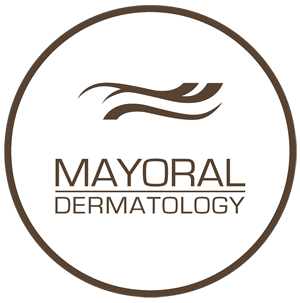 By implementing a light-sensitive compound with beneficially intense wavelengths of controlled light, dermatologists employ photodynamic therapy to treat a variety of mild to severe skin conditions. Successful applications of PDT require three things: tissue oxygen, a photosensitizer (the compound) and a laser beam. When doctors target skin conditions by combining these items to create reactive oxygen species, the results include the successful destruction of diseased or malignant skin cells as well as viruses, bacteria and fungi. Using a photosensitizer means that only specific areas of the skin are treated while normal skin is left untouched. Chemical compounds known as photosensitizers are activated by absorbing light, which then forces the molecules in the compounds to interact with oxygen molecules in the skin tissue. This encounter between different molecules produces something called a “singlet oxygen”, which attacks living compounds such as damaged cells that are causing the skin condition being treated. Because these singlet oxygen molecules are considered cytotoxic, or harmful to cells, photodynamic therapy is able to protect healthy skin and only focus on damaged skin. The most common type of photosensitizer used with photodynamic therapy is ALA, or aminolevulinic acid. When ALA is applied to certain skin conditions such as actinic keratosis and the saturated skin is then exposed to BLU photodynamic therapy, the compound actively eliminates cells responsible for the lesions, resulting in the rapid reduction of the size, redness and severity of actinic keratosis. Other photosensitizers are available for many skin conditions that respond to photodynamic therapy. The primary difference among photosensitizers is that each one targets a specific area of the cell. For example, photosensitizers used in radiation therapy are formulated to destroy cell DNA, since it is the DNA of cancer cells that is causing the abnormal proliferation of toxic cells. Alternately, ALA targets only the mitochondria and part of the lysosomes in skin cells, which are responsible for cell growth. PDT has been found to improve the appearance of severe acne or acne scars after five treatment sessions spread out over a period of three to four months. Levulan, a type of ALA solution, is applied to the skin and left on for up to one hour before the dermatologist activates the compound with beams of BLU photodynamic light. Advantages of photodynamic therapy for severe acne and acne scars involve the appearance of younger-looking, refreshed skin; no evidence of scarring; no surgical incisions to make and no systemic affects to cope with following the procedure. One session generally lasts no longer than 15 minutes and patients are able to leave the office without experiencing any downtime. PDT is a popular, non-invasive method to treat numerous skin conditions such as age spots (“sun” or “liver” spots); precancerous lesions like actinic keratosis; rosacea; fine lines and wrinkles; large pores, sebaceous hyperplasia and various, unattractive hyperpigmentations. For years, PDT has been used to smooth out wrinkles and rejuvenate tired-looking skin by using the principles of high-powered heat-induced injury to skin. When skin tissue starts to deteriorate under photodynamic light frequencies, the body’s immune system initiates the healing process which stimulates collagen production as well as the creation of new skin cells. This process of renewal strengthens skin, evens skin tone and erases skin wrinkling by replacing damaged skin with fresh, healthy skin. Clinical trials have proven PDT to be a safe and effective alternative to treatments involving invasive procedures, such as “face lifts” for wrinkles. In addition, the selectiveness of PDT means that the likelihood of patients experiencing post-inflammatory hypo- or hyperpigmentation is greatly reduced. Some cryotherapy procedures involving the use of liquid nitrogen often causes the development of spots that are lighter or darker than normal skin color. Almost all patients tolerate photodynamic light sessions very well and experience uneventful recovery times following the session. Patients opting for PDT should be aware that exposure to sunlight following a treatment of PDT is restricted for up to 48 hours. The skin is especially sensitive to light due to ALA remaining in the cells for a period of one to two days and any exposure to intense light may cause burning and reddening. While PDT will improve the appearance of certain skin conditions and eliminate premature wrinkling, it does not benefit thick lesions such as precancerous hypertrophic actinic keratosis. Photo-sensitizing agents cannot penetrate thicker growths like HAK that need to be surgically removed or frozen and then excised. However, photodynamic therapy can be used to effectively treat most skin problems that exist at the skin’s surface or extend just below the surface, such as acne, discolorations, wrinkles and visible veins.